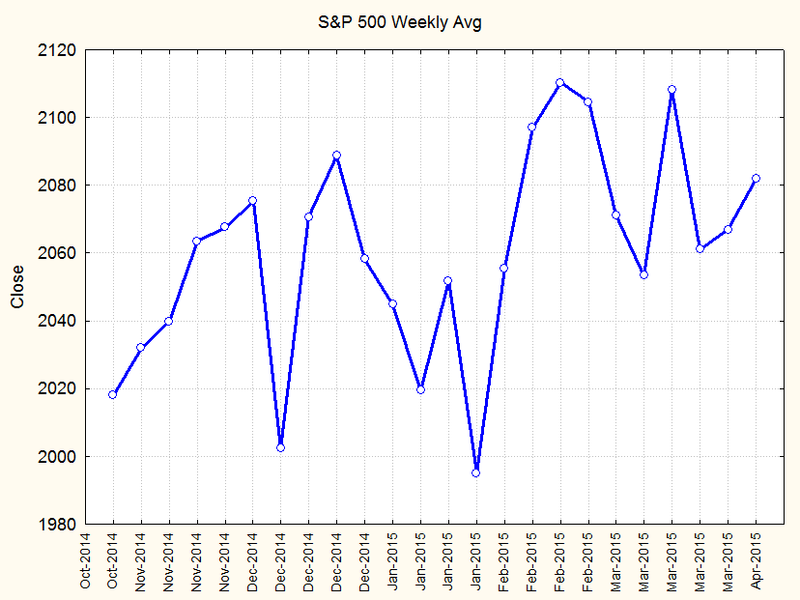 The graph shows the weekly averages for the S&P 500 since October of last year. The index has been stuck in a trading range between 1990 and 2110 for the past six months. A move to 2200 as the forecast in last week’s post suggested would require breaking out above that range into new territory. In other words, investors form an expected range of stock prices based on fundamentals, the movement of planets, or whatever forces they consider move the market. As long as those forces work as expected then prices will remain within the indifference zone. Lachmann calls the range the “indifference zone” because investors don’t react to random fluctuations within the zone; they are indifferent to change. In technical stock analysis we might call the upper and lower boundaries of that zone the resistance and support levels. When the price rises close to the resistance level, most investors expect it to fall back closer to the middle, but when it falls close to the support level they expect it to rise. As long as the price stays within the indifference zone investors can assume that the forces they rely upon to direct the market are working according to their expectations. What happens when the price breaks out of the zone by violating the resistance or support levels? But as soon as the market price passes either the upper or the lower limit, a new situation arises. People, shocked out of their sense of normality, will have to readjust the basis of their predictions, and in the interval before forming a new, and probably wider, uncertainty range their expectations are likely to become elastic... Now, as we saw, a price will pass the limits of the range with difficulty. As it approaches them it encounters increasing pressure from inelastic expectations resulting in sales at the upper and purchases at the lower limit. 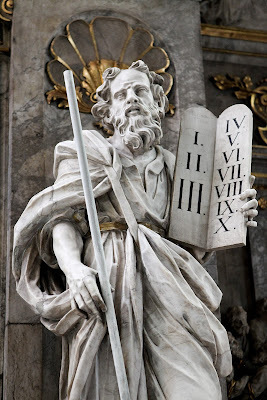 To overcome the pressure of these stabilizing market forces the price movement will most probably have to be carried by a strong ‘exogenous’ force, i.e. one originating outside the market, unknown to it and therefore not taken into account when expectations were formed. In other words, movement outside of the range indicates that the forces on which an investor relies for directing the market have changes substantially and he needs to reassess them while shifting his indifference zone. So if the S&P 500 quarterly average does reach 2200, it will require a major change in the fundamentals. Either profits will soar or risk tolerance will expand. Since profit rates are at 40-year highs and forecasts call for falling profit rates in 2015, the most likely suspect is risk tolerance, measured as the price/earnings ratio. Much of the deviation of the forecast in last week’s post comes from changes in the PE ratio, or investor’s risk tolerance, or as they say in mainstream finance, the investor discount rate. It’s possible that people outside the US, especially in Japan and the Big EZ, will grow tired of earning next to nothing on their investments and send their money into US stocks. That will drive the PE ratio higher even while profit rates are falling. 1. Ludwig Lachmann, “A Note on the Elasticity of Expectations,” (1945), Expectations and the Meaning of Institutions, ed. Don Lavoie, New York: Routledge, 1994.